NSW Public Works provides an extensive range of infrastructure services for state and local government agencies. Its staff are engaged in asset and facilities management; architectural, landscape and urban design; heritage and conservation; and all aspects of project management and water cycle management. Lendlease is a leader in transport infrastructure. Working across Australia, Lendlease offer advanced technical capabilities and significant construction resources for the creation of critical transport assets, under a variety of delivery models. Road and Maritime Services (RMS) (formerly The Roads and Traffic Authority (RTA)) of NSW is the State Government Authority responsible for major roads, promotion of road safety, traffic management, and regulation of vehicles and motorists. 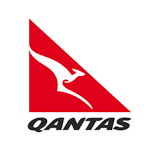 Qantas was founded in the Queensland outback in 1920. Registered originally as the Queensland and Northern Territory Aerial Services Limited (QANTAS), they have built a reputation for excellence in safety, operational reliability, engineering and maintenance, and customer service.Today, Qantas is widely regarded as the world's leading long distance airline and one of the strongest brands in Australia.